After two significant earthquake events in Christchurch in the past six years and with a number of other earthquakes happening you would have thought that the Government would have made sure that our earthquake and tsunami warning system are fit for purpose. At least you would think that. But it seems that the Geonet system is still rather primitive with reports that the officer in charge at the time of the recent Kaikoura earthquake was asleep and had to be woken up. The budget does not allow for 24/7 cover. The staff member’s drowsiness may have contributed to their initial assessment of the quake of being 6.5 on the richter scale not its actual 7.8. Then a couple of hours later there was an urgent decision to issue a tsunami warning. Thankfully no tsunami occurred. Otherwise it could have been disastrous. Because we do not have a 24/7 monitoring centre we have to wake people and get them out of bed to look at complex data and make serious calls very quickly. It is not an ideal situation given the past few months and I’d like to change that by getting support for a 24/7 monitoring centre for geohazards. I’m going to be blatant in my campaigning for this, because I think we need a 24/7 monitoring centre to respond to these kinds of events. Fair call. Earthquakes do not hold off until office hours before deciding to occur. They can happen any time of the day or night. The rest of his post urges people to take action when a tsunami warning is given, urges people to be ready for the next one, and praises his staff. Nothing that you would think anyone should get upset about. Think again. Gerry Brownlee has become incensed at Gledhill’s cautious words. Acting Civil Defence Minister Gerry Brownlee has blasted comments made by the head of Geonet – saying he feels blindsided. Brownlee said he took issue with Dr Ken Gledhill, who works for GNS Science and heads its Geonet department, talking publicly about how better technology would help the service, when no approach had been made to the Government. Brownlee said he would contact the leadership of GNS Science, including acting chief executive Neal Wai Poi, tomorrow and express that view. That centred on the fact that Gledhill or his team had not made an approach or report to the Government about their view that a better monitoring system was desirable. Gledhill spoke to media from the Beehive’s civil defence bunker today. He said his team had a good idea of what system improvements could be made, but hadn’t yet asked the Government to support those changes. It is hard to understand why Brownlee is so incensed. Gledhill clearly said that he had not approached the Government yet. But you have to wonder why. Is the Government’s insistence on cost cutting that strong that public servants are afraid to suggest anything that may increase costs? The Government should take responsibility for a sub optimal system. They are in charge. The lack of a 24/7 cover is absurd and if the circumstances were slightly different could have resulted in the loss of lives. And while I am on the subject I am amazed that Justin Lester has been roasted by elements of the media for wanting to keep Wellington open but it has been said that National’s “sure handling” of the earthquake has helped it politically. Media’s willingness to go along with the diversion of blame by the Government means they are not doing their job properly. Update: and if you want to sign Labour’s petition for 24/7 Geonet coverage you can do so here. That matches what I heard, it was about 2 hours after the quake that someone first rang up the radio saying the tsunami sirens were going off in Christchurch. If that’s the case it could have been far too late. Also traffic was chaos apparently with everyone trying to get out at the same time. I wonder if the safest thing is to have a big backpack ready and walk out, you could be 1 kilometre away in about 5-10 minutes. Good point about Lester, he’s had to carry the can. The government sort of decided they have no responsibility for Wellington which is odd considering the experience they have. Taking a back seat is not responsible. It’s hardly odd from people who claim responsibility for every bit of good luck and blame Labour for everything else. That’s very well put OAB. I always thought that bulldogs had unlovely mugs but after looking at that pic of Brownlee well I couldn’t decide the winner. Bang on target OAB !!! The government decides they have no responsibility for Wellington, despite Wellington being the seat of government in this country. Nothing surprises me anymore. Oh, and the media ARE doing their job. It’s just that their job has not been to report the news for quite awhile now. Their job, in this post-truth, brighter-future era we live in, is to spin and smear in order to more effectively maintain the narrative. Opposition parties could literally turn water into wine, and loaves into fishes, and the Audrey Youngs and Claire Trevetts of the world would bag them for “populist grandstanding”. If the bias of the MSM was any more apparent, the two main offenders would be renamed the “National Herald” and “Right-Wing Stuff”. Aye aye Wensleydale. Populist grandstanding …. blessed are the cheesemakers. Blind panic was my observation of peoples behavior, speed limits men’t nothing, streams of cars sped through red lights. Grid lock at service stations, I couldn’t exit the Northern motorway due to the numbers of cars parked on the off ramp looking for higher ground. Yep, that bears examining and I don’t trust National to do that in a useful way. I was listening to RNZ and the first tsunami warning came around 1pm, an hour after the quake. RNZ had no idea what that meant, just that it would affect ‘southern NZ’. Southern NZ to people in the south means south of Chch, not the SI. That got updated (where would be affected) a number of times but it was hours before they started talking about heights and what the risk was. And everything being discussed was centred on Wellington to Chch. Which is fine if that’s the only area to be affected but then the warning got updated to cover Otago and Southland. From what I can tell some quakes generate tsunamis that take a while to arrive i.e. there is time to evacuate. But some are very fast eg if the undersea trench wall off the Kaikoura coast had collapsed, there would have been a very fast tsunami there. Low risk, but that could still happen. The advice I saw was that if it’s a Big quake you don’t wait for anyone to tell you what to do, you get inland or to high ground as fast as possible. Grab the kids and run (or drive) kind of thing. What we need is a risk analysis of where those kinds of tsunamis are possible and what people in different areas should do. eg if you live in South Dunedin are you relatively protected by the harbour? (Sth Dndn didn’t get an evacuation notice, but the Dunedin coast did). People with young kids or disabilities or no car need advice on what their options are. Thing is, National won’t facilitate that. Best we get on with those conversations ourselves. There was a tsunami, just not bit enough to be noticeable … and at night. And here is the Pigeon Bay (Banks Peninsula) Tsunami effects. Our cherished retreat at Little Pigeon Bay on Banks Peninsular coped it. 2 Metres through the house floated it off it’s piles. These should be compulsory reading esp the bit about not waiting for an official warning. I hope Ken Gledhill happens to have plans of retiring soon. If he hasn’t what are the odds of Brownlee bringing them forward? Mr Gledhill obviously has valuable skills which would be welcomed in other earthquake regions should Brownlee’s bullying bring about Mr Gledhill losing his job. You would think Brownlee would be grateful for intelligent feedback. Guess he can’t keep up with someone like that and has been shown up, so as with bullies, they throw their weight around in the hope of looking in charge. It’s not Gledhill that needs to resign – it’s that Brownlee needs to be fired for incompetence and stupidity. He is, quite simply, unsuitable for the position that he holds. Brownlee is unfit to be in parliament. He’s a bully and allround thug. My point isn’t that Gledhill should resign – far from it. I’m simply saying that it wouldn’t be surprising if Brownlee deals to him and that we should watch what happens. So who will take his job ? Knowing National, some National Stooge that would not know the difference between the Richter scale and Ratio scale. They would be paid highly to sit and do what they are told with a golden parachute awaiting them when they are asked to take one for their minister. I think the date stamps are wrong (12 hours out?) but at Kaikoura, the tide dropped 2.5 metres then rose 1.5 over 30 minutes. Its never a good sign when you are operating in a climate of fear perpetuated by the current government. Good and knowledgeable public and civil servants are there to assist and recommend advice which in the case of Geonet i would have thought Brownlee would have welcomed their input into giving at risk New Zelanders a chance to survive a impending disaster with as much warning as possible. Brownlee has always been a bombastic bully and does not have the temperament to be in charge of this increasingly important area. As for the roasting of Justin Lester he was damned if he did and damned if he did not. Welcome to the mayoralty and bias reporting Justin. The govt is panicking I think – it hasn’t done a good job in Ch’ch, it doesn’t really have the funds to pick up the slack from EQC, the “expert” advice on W’ton buildings is proving to be inadequate, and NZ’s tsunami warning system is also proving inadequate. So they’re flailing around to find others to blame, and ShonKey is going flat-out looking for diversions . Unfortunately, as usual, the media is sucking up to them – instead of asking them the hard questions about why things are not working as they should be. I would have thought that after the wake-up call that was Christchurch, there would have been a thorough going over of all the involved services and government departments to ensure that the best possible procedures are in place for the next major earthquake event. Sadly, after Brownlee’s CERA debacle, nothing has been learned and nothing has changed. Does it take a massive loss of life ho finally get through to these clowns that maybe the current procedures and systems are not adequate? Well the ministry of civil defence bought automated alarms so they could make cuts to staff, pinching pennies. It’s like the government said capital is expensive but cheaper to run over time so we’ll buy one jack hammer. So to save money, in an emergency we can employ 6 workers to operate one Jack hammer then once a crises is over we can let them go? As if 6 workers operating one Jack hammer is productive. New business theorists must think we’re stupid. TBH I think if John Keys gets one more term there’s two possibilities, we go full on fascist or John Keys Destroys the National Party with this……. What ever it is. That’s what you’d expect but we have a government that’s more interested in cutting costs so as to promise tax cuts that doing what actually needs to be done and raising taxes to do it. Nope, that won’t do it either as they simply don’t care. All they’re concerned with is making the rich richer. 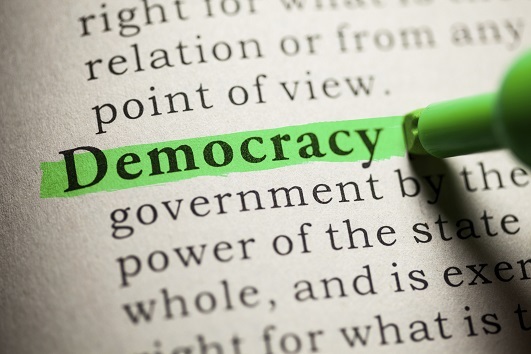 Everything that comes before the National government is very thoroughly scrutinised and has to pass a simple stringest test – will it make money, and will it satisfy the moneyed people at the top of the ladder? More spending on earthquake safety systems? Where’s the monetary return in that? Does it take a massive loss of life to finally get through to these clowns that maybe the current procedures and systems are not adequate? Let’s ask the Pike River families. I’m guessing they’ll answer in the negative. We had massive loss of life in pike river and look what the nats response was…. Allow the owners and managers off scot free and then get talleys to rewrite the OHS laws to place even less onus on the employer. “He has, him, Mr Munted, BGB, Big Gerry Brownlee. Gerry’s the one who’s said discourteous things. And the Finns are fuming, in cities as far apart as Uusikaupunki and Ivalo, Kokkola and Barcelona – where most Finns prefer to live. In truth, this imbroglio (a disagreeable Finnish dish comprised almost entirely of rancid snow – one of the few things they can grow well) should come as no surprise. Oh I AM surprised! Jerry Brownlee – a bully? Surely not! Mind you when compared to a few of the other National MPs he does seam to not even be their top bully. Two who have the words Crusher and Basher as part of their nicknames make him look almost like a decent person compared to them. Failure of the 111 network, absence of Geonet response, and lack of effective tsunami warnings all coinciding on14 November, and yet somehow our greatest national disgrace is a leading scientist saying we need better systems to be funded? Ever since the Roger Douglas reforms, public servants have been gradually diminished into a disempowered bunch of ra-ra girls aimed at ministerial embiggenment. But when you have a scientist making general remarks about needed improvements, the minister’s best course is to shut up and listen. Remember the Rena and the fact that we couldn’t respond at all? We just didn’t have the capability available. I’m pretty sure that you’ll find that such ‘suboptimal systems’ are in place across our nation and across multiple areas where instant response is needed and all because the government is not willing to cover the costs of having the necessary people and machinery ready and on call because they much prefer giving tax cuts. The rena was tripping alerts as it was not in the shipping lane and was preventable. What intrigues me about that is how tauranga port didnt raise the alarm as their systems, if working, would have known…..unless someone wasnt where they should have been i.e. Monitoring the lanes and harbour. Another failure brought about by penny pinching with a govt that knows the price of everything and the value of nothing. That was the first problem. It being off course should have been detected and had something done about it. Radio warnings to the vessel itself and a patrol boat sent to investigate and engage if necessary. I’m not thinking navy either but an a coastguard along the lines of the US Coastguard. Then, after it had happened we should have had a salvage team in there within 24 hours doing the salvage. What we shouldn’t have been doing is telling the owners to get their own salvage operators going. Get in there, do the salvage and pass the owners the bill. If they don’t pay up then they don’t get the ship back. As a maritime nation the fact that we couldn’t respond was appalling. It used to be Billy Bunter.Then Bully Bunter. Now Bully Brownlee? So given that I live by water and a civil defence siren sits only a few hundred metres away. And given (have I got this wrong?) that tsunami warnings were to be marked by those sirens going off and not being switched off…. So the siren went off for less than 30 secs – enough time to wake someone. Given that the same siren goes off in that fashion for any volunteer fire brigade call out, I grumbled and swore and went back to sleep. Granted, there was a vehicle mounted siren (ie – normal emergency service siren) that seemed to linger on the road for a bit long, leading me to think as I fell asleep that if they didn’t get a move on, the person in the back would be dead before they got to the hospital. At seven in the morning, the other person in the house came into my room to say there was a tsunami alert. They’d picked it up from the internet that they pop on to before heading to work. Would a text alert have worked? No. Even if I was within audible range of my phone as I slept, just because I have cell phone coverage, doesn’t mean that everyone has. Many people around this area haven’t. Would the siren going off and not stopping have made me get my arse into gear? Well yes. And especially seeing as how that was meant to be the nature of a tsunami warning (from memory). There be a lot wrong with NZs Civil Defense mechanisms. More than mere coverage and tech. This is the bit I don’t understand. Most of us grew up with that system – in a civil emergency the siren goes on and stays on. Is that not in use now? Why is that not in use now? Whatever else needs to be done, tech and non-tech, that’s an easily maintained and activated system that every NZer should know about. Is it not a given anymore that that’s what will happen? Obviously not where you live Bill, and likewise I live somewhere where I assume the CD siren is the same as the one that calls out the volunteer fire brigade. This government’s SOP. Cut funding, accuse of incompetence. Rinse, repeat. Oh, and remember to be there for good photo-op. That’s usually the route to claiming something needs to be privatised. Maybe they’re just miffed they haven’t been able to come up with a reason why GNS could and should be privatised. Gerry Brownlee can’t tolerate anything or anyone shattering the illusion that he is always right and always on top of things. Anyone who dares to tell the truth will pay the price. So agree. 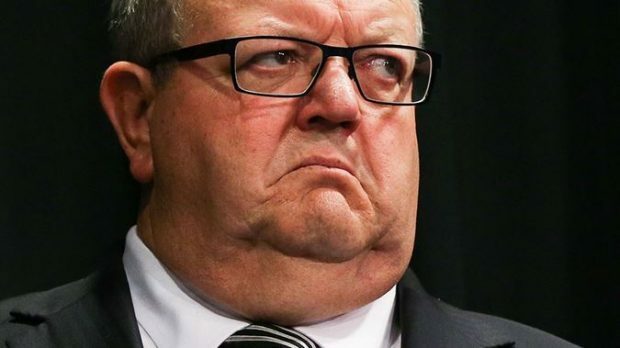 The schoolyard bully is alive and well and in the form of Gerry Brownlee. Way to go Brownlee. You will undoubtedly tell whomever bothers to listen to you to read page 200 or a 99 page report. Nothing like abit of bullying by you here and there. Wll you blame an airport staff member(the blame games upon others appears to be a typical John Key government response when caught in a corner of your OWN making)and say you were running late for a plane? Soooo……. after all his cry’s of “no one told me” and the total unfairness of being “blindsided” I heard this morning on RNZ that there had in fact been ongoing requests for more funding for exactly fulfilling Geonets purpose 24/7. Maybe Nikki Kaye took that folder home and poor GB is left holding the baby? A decent MSM would do some digging, there’s a story here in how our elected officials despite all the experience of CHCH have deliberately underfunded (yet again) hugely important infrastructure and yet have spare change to throw at Arab sheep sheiks. And for some reason, although verbalised on RNZ, this reporting of previous requests for funding does not appear in “print” online?? ?